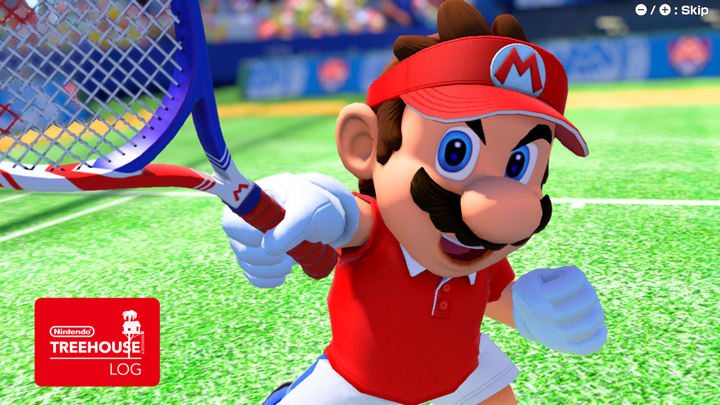 Nintendo has released the latest update for Mario Tennis Aces. Version 2.0.1 may not have as many bells and whistles as the great 2.0 update but it does bring some balancing and bug fixes to the game. You can check out the patch notes of the update below, or head here to Nintendo’s support page. Slice shot’s power has been slightly decreased. Returning a slice which was hit at a high point close to the net has been made easier. The power of lobs has been increased when playing with Simple rules. Wario Slightly increased the distance he can hit a ball without leaping. Rosalina Slightly increased her movement speed during a Charge Shot. Chain Chomp Slightly increased the ability to aim for the sideline. Increased the length of the period that time is frozen after leaping for a ball. Decreased the speed at which top movement velocity is attained. Waluigi Decreased the power of his slice. Peach Slightly decreased the length of the period that time is frozen after leaping for a ball. Toad Slightly increased the length of the period that time is frozen after leaping for a ball. Boo After leaping for a shot when playing with Simple rules, he can no longer be cancelled during the period that time is frozen. Simple Class: In Online Tournament, option settings that do not affect Simple rules will not be displayed. Free Play and Swing Mode: When three or more players are playing Singles, the game will now start with P1 and P2 serving for matches other than Team matches. The server and returner will be randomly selected. Online Tournament: Control issues when your character is on the far court have been fixed. Adventure: The issue of software shutting down when playing in Challenges has been fixed. The issue of Zone Shots being canceled has been fixed. The issue concerning Leap Shots and swinging and missing when Koopa Troopa is on a star point has been fixed.